Our wide network of depots allow Carrs Billington Fuels to distribute heating oil quickly and efficiently to households throughout the region. Our customer service team is highly knowledgeable and can advise for all domestic fuel requirements and working with our distribution team can ensure your delivery occurs when you need it. Carrs Billington Fuels have the experience delivering central heating oil to provide a reliable service to most locations, including harder to reach properties with our mini tankers. Carrs Billington Fuels also offer an automatic top-up service. You don’t have to remember to check you fuel levels anymore, take the stress out of running out, and let us take care of managing your oil for you. We calculate the number of times a year you will need more heating oil and organise deliveries to suit your own personal demand. If you prefer to manage your own heating oil levels, but are frustrated with dipsticks and other manual devise Carrs Billington can supply the award winning Watchman Sonic. This award winning device automatically monitors the levels in your tank, and sends a signal wirelessly to the receiver which can be up to 200m in your house. You can view real-time levels of your tank on the easy to see LCD Screen and the receiver flashes when oil levels run low. You can also have an audible alarm option. 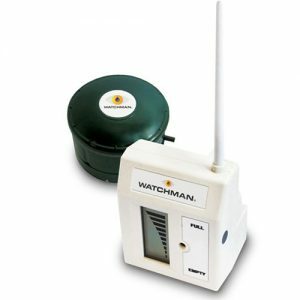 The Watchman Sonic is easy to install and works on plastic or metal tanks. For more information, contact our fuels service team on 01228 534342.